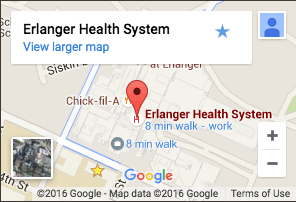 Why Choose Erlanger Physical Therapy? With three convenient locations, we offer access to world-class physical therapists who are certified in a broad range of specialties. Our goal is to restore function, relieve pain, and help you safely get back to the activities you enjoy. Our team includes physical therapists who have achieved national certification in soft tissue therapy, orthopaedics, concussion management, dry needling, manual therapy, strength and conditioning, and ACL injury prevention. Certifications vary by individual provider.